During the Stamp Duty Consultation, we take a closer look at the proposed changes and how they will affect homeowners and aspiring buyers. In the 2015 Autumn Statement, George Osborne announced higher rates of stamp duty on the purchase of additional properties, such as buy-to-lets and second homes. Here at HomeOwners Alliance HQ, we celebrated this policy change being adopted. Back in 2013, we submitted a report to the Treasury arguing for a new rate of stamp duty for property investors to pay for a cut in stamp duty for homeowners. Time and time again we see first time buyers directly competing with rich property investors. Clearly it’s an unfair playing field, so we consider this change an opportunity to help rebalance the inequality in the system. The government is currently consulting on the practicalities of how the 3% stamp duty hike will work, alongside consultation on other changes such as Right To Buy and the London Help To Buy Scheme. The deadline for the consultation is 1st February 2016 in order for the government to announce the new regime in the upcoming Budget. The new stamp duty regime is due to start in April 2016. The government claims that the 3% rise in rates will be collected to provide £60 million for communities in England where the impact of second homes is particularly high, and that the tax receipts will help towards doubling the affordable housing budget. How will this affect homeowners or those aspiring to buy? The Treasury have indicated that for those buying a second property before selling the first will initially have to pay the higher stamp duty rate. 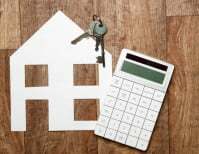 However, they will also be able to claim back the 3% surcharge, provided that the previous property is sold within 18 months of buying the second home. We have suggested that the 3% surcharge should only become due at the end of the 18 month period. We believe that one way forward is for the extra stamp duty to only be due after 18 months, if the original home hasn’t been sold. We do not think the tax should be collected upfront, creating a messy refund mechanism for hundreds of homeowners. In the past, we have suggested that the stamp duty could be paid by the sellers of the property, as opposed to those purchasing. What do you think? Want to have your say? We encourage homeowners to tell us what they think of the consultation and we will submit a response. We also understand that various landlord groups are coordinating their very robust and negative responses, which we will try to offset as we do think this measure will ultimately favour those who are buying a home to live in. I would like to buy a small holiday chalet that has restricted use (no occupancy between The end of October and Easter, apart from two weeks at Christmas). I own another home, so I am told that the additional 3% stamp duty will apply. How is this correct when the chalet clearly cannot be considered residential, since it cannot be occupied for five months of the year? Furthermore, I hear that mobile homes, caravans, and houseboats are exempt, yet many of these clearly are used as permanent residences (or let out as such). Where is the fairness in this situation? I own a property in Australia and move to the UK 4 years ago. I’ve been renting and now I want to settle here and purchase a property. I’ll be hit with 3% surcharge – am I not entitled to have a home here? I live here. My property in Australia isn’t worth much and hasn’t increased in value. I’m not real estate mogul. I’m willing to sell my property back home though I still need to fund the 3% up front and apply for a refund later – the purchase will fall over as I don’t have that cash. Same for people who may own a small apartment elsewhere in Europe and want to purchase a home to live in. They will also be hit 3%. Hardly fair – if it’s your main residence your’re purchasing in the UK then global property shouldn’t be taken into account. In my view this is likely to create several tiers of stamp duty in the system that will add nothing more than complexity. Overall, investors will find other ways of investing and we may not see any additional properties in the market. Also, there is no reduction in stamp duty for one home owners which defeats the purpose. One has to remember, the real problem in the country is not developing new houses. The best option would be to make all new developments to sell only to first home buyers or only residence buyers and if they move within 5 years without selling the property then they pay higher stamp duty. We need to remember there are several small investors/families who have additional flats/house as investment for future for their families. These are not high flying property tycoons who can still off set their costs against losses/interest payments. I completely disagree with this new proposed stamp duty. My wife do not own any property and I do own a small apartment. As we are now married with 4 year old kid we plan to buy a bigger house to move in but our purchase is now bound to collapse since married couple are considered as single unit and even though my wife is a first time buyer we still have to pay this additional 3% surcharge stamp duty. We have a neutral view on the 3% Stamp Duty surcharge for landlords and second-home owners, but our concern is that it is diverting attention away from the massive burden that Stamp Duty presents for ordinary home-buyers – especially in London and the South East.